Singapore, 13 March 2018 – Qantas, Singapore Tourism Board (STB) and Changi Airport Group (CAG) today announced a S$5 million partnership to promote Singapore as a destination and a connecting gateway to Asia, Europe and Australia. With the return of Qantas’ Sydney-London services via Singapore from 25 March, the three-year tripartite Memorandum of Understanding (MOU) will see all parties work together on a series of joint marketing campaigns in Australia, the United Kingdom and Southeast Asia to promote travel on Qantas services via Singapore. Qantas Group CEO Mr Alan Joyce said the partnership is aimed at boosting the number of people travelling through Singapore from key markets in Australia and the UK. 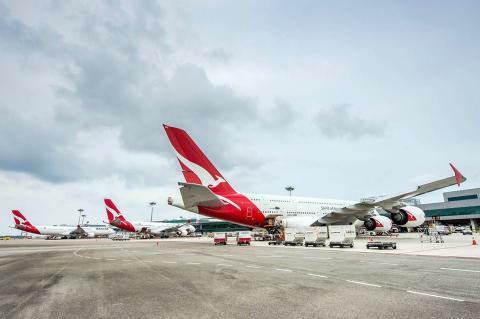 “Singapore is Qantas’ largest hub outside of Australia, carrying more than 20 per cent of our wide body fleet. It is a cornerstone city in our international network strategy and plays an important role in our ability to respond to the incredible growth we are seeing in travellers from Asia. From April 2018, Qantas will operate over 50 return services in to and out of Changi Airport each week, making it one of the largest foreign airlines to operate out of the Singapore airport . STB’s Chief Executive Mr Lionel Yeo said that the partnership presents an opportunity to drive more visitor arrivals to Singapore and raise its profile as a quality destination through joint marketing efforts. “Australia and the UK have always been important source markets for Singapore, ranking 5th and 12th respectively in 2017. The addition of more Qantas services, especially the return of the iconic Kangaroo Route, is set to draw even more visitors from the two countries. 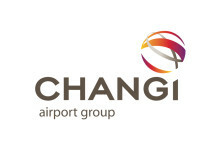 Changi Airport Group Chief Executive Officer Mr Lee Seow Hiang said today’s travellers are increasingly discerning and selective, and this partnership is timely in raising efforts to differentiate Singapore as a seamless stop over point as well as destination. “Qantas has been flying to Singapore for more than 80 years - it is one of the longest serving airlines to operate at Changi and is a valued airline partner. For the fourth year in a row, Qantas has been ranked the world’s safest airline by AirlineRatings.com. Qantas also holds many major awards for service, food and wine, technology and innovation, including the world’s best premium economy class by Skytrax in 2017.